With regard to the ongoing discussion in the European Council on the waste proposal the European Compost Network (ECN) sent together with the European Environmental Bureau (EEB), the European Recycling Industries’ Confederation (EuRIC) and the Confederation of European Waste-to-Energy Plants (CEWEP) a joint statement to respect the waste hierarchy and to promote high quality recycling by setting clear rules for calculating the recycling targets. Against the clear signal towards high quality recycling of the European Parliament by following up a comprehensive way for bio-waste recycling by defining organic recycling and setting an obligation for separate collection of bio-waste, we fear that the Council is stepping back from quality recycling and promoting separate collection as a precondition for high quality recycling. For further information please find the article ‘Malta is undermining the circular economy’ of the Dutch Waste Management Association published on ‘wastematters.eu’ here. On 28 April 2017, several members of the European Parliament and their assistants followed the invitation of MEP Mark Demesmaeker (ECR) to a field trip demonstrating the successful circular economy of Flanders. The field trip was organised by the Public Waste Agency of Flanders (OVAM) in cooperation with Vlaco, the Flemish Organisation on compost and digestate by visiting the composting site of EcoWerf in Leuven and the reuse centre in Vilvoorde. 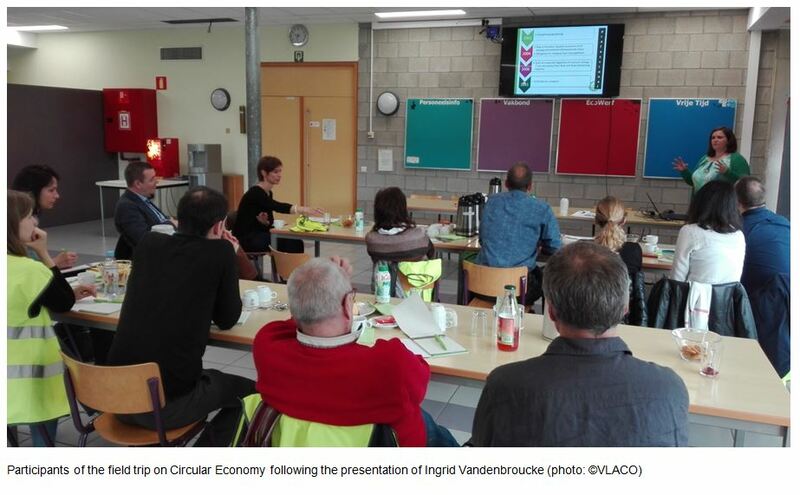 Ingrid Vandenbroucke, Quality manager of Vlaco, introduced the biowaste policy in Flanders. Separate collection of biowaste has been successfully implemented since the early nineties in the Flemish Region. With the obligation to implement the separate collection from households for either green waste or vfg-waste (vegetable, fruit and garden waste) by the municipalities and inter-municipal waste associations up to 715.000 tonnes of biowaste and green waste are composted in the Flemish Region. By this a bio-waste recycling rate of 77 % of municipal waste is achieved. With the establishment of Vlaco npo, as a quality assurance organisation for compost and digestate, the production and the use of quality compost was promoted. Nowadays the composting plants in Flanders produce high quality compost in all cases fit as a soil improver and growing medium in agriculture, horticulture, private gardens, landscaping. Besides this background information the participants from the European Parliament had the chance to get a practical view inside in the composting process. Martina Kinders, the EcoWerf Manager of Environment and Quality, guided the participants with passion and enthusiasm through the plant. Since 2014 EcoWerf is certified besides the quality label of Vlaco with the European Compost Quality label of ECN-QAS. For further information, please find the presentation ‘Biowaste management in the Flemish Region’ here. A press release (in Dutch) and photos from the site visit can be accessed here. 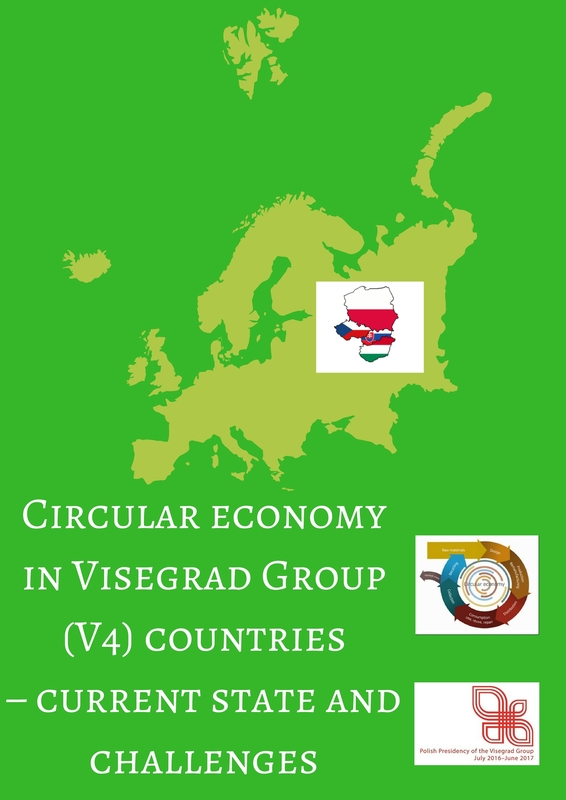 On 1 June 2017 from 9:30 am to 3:00 pm a conference on ‘Circular Economy in Visegrad Group (V4) countries – current state and challenge’ will take place in the Permanent Representation of Hungary to the EU. The aim of the event is to share experience of V4 countries in implementation of circular economy, presentation of the best practices in this field including social innovation and discussion of main challenges. Last month Cyprus University of Technology (CUT) - Department of Agricultural Sciences, Biotechnology and Food Sciences became a member of ECN. The CUT is a newly-established public university (2003) and one of Cyprus three state universities. Multiple members of the Department's staff are engaged in use and research with compost. In particular the Agricultural Microbiology and Biotechnology Lab studies the microbial ecology of agroindustrial fermentations including compost in order to characterise it for better quality characteristics and optimisation of production. The group works on compost fermentation as well as with beneficial microorganisms of compost to plants, employing molecular tools to study and understand their beneficial role and offer valuable support to the local agriculture industry. For more information visit the website of the institute here. ECN’s Annual meeting will take place from 10:00h to 14:00h (CET) on 30 May 2017 in Brussels (BE). The opening session will focus on the policy discussion and the starting trilogue negotiations on the Circular Economy Package. Therefore, we have invited Hanover Communications to give a key speech on 'Principles of successful engagement with EU institutions to achieve national benefits - The status of the Circular Economy'. We would like to remind our members to register as soon as possible. On this day at 14:30 h the Environment Commissioner Karmenu Vella will open the 'EU Green Jobs Summit' of the EU Green Week 2017, which you might be interested to attend. Participation is for free and the summit will take place in Crowne Plaza Brussels - Le Palace. The EU Green Week 2017 'Green jobs for a greener future' will focus on how EU environmental policies are creating green jobs and contributing to economic, sustainable and social responsible growth in the EU. In advance of the ECN Annual meeting the ECN Task Group meeting ABPR will take place on 29 May 2017 from 14:00h to 18:00h in Brussels. This meeting will focus on the requirements of the Animal By-Product Regulation in relation to the EU Fertiliser Proposal.